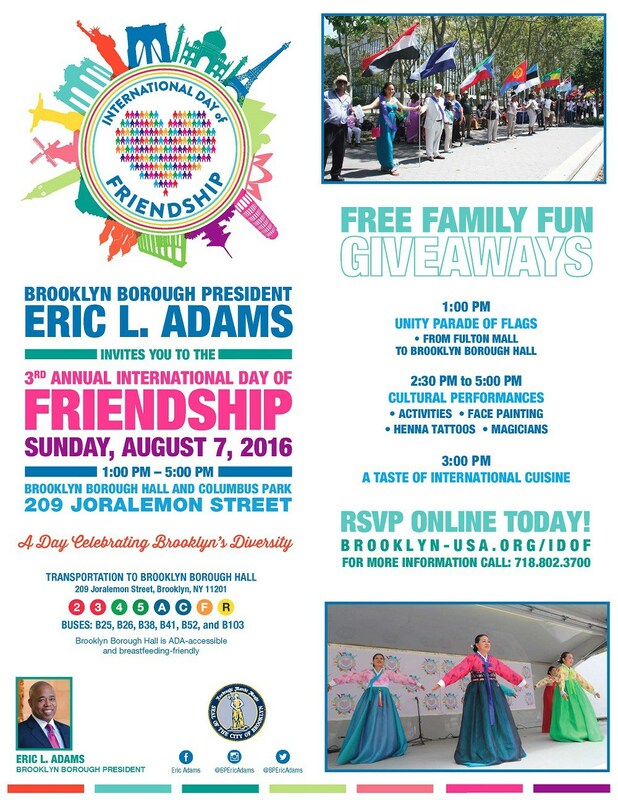 This Sunday, August 7, from 1 pm to 5 pm, head over to Borough Hall for the third annual International Day of Friendship, celebrating Brooklyn’s diversity. The festivities will kick off with a “Unity Parade of Flags” from Fulton Mall to Borough Hall, followed by cultural performances, tastes of international cuisine, and more. For the event info page, click here. 100 Clark St. Reconstruction Plan Approved by Landmarks – Finally! Everyone knows who this is…. It’s all good to know about and explore other cultures though the protective filter of the educational environment we once had in this country. But at base, DIVERSITY IS PERVERSITY…..
Its absolute POISON to western civilization’s basic structure and standards and values. This is a (further) attempt to defocus and pollute the western values this country is based on. And youll notice that the more we get away from and dilute the western centric of the U.S. the worse the conditions here become. Seig heil right back at you, sir or madam! This was a wonderful and fun event. Brooklyn gave Rio a run for the money.